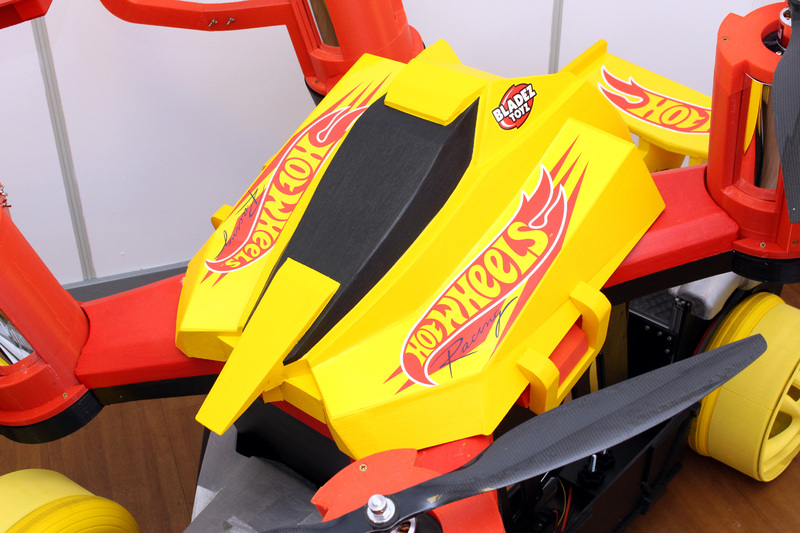 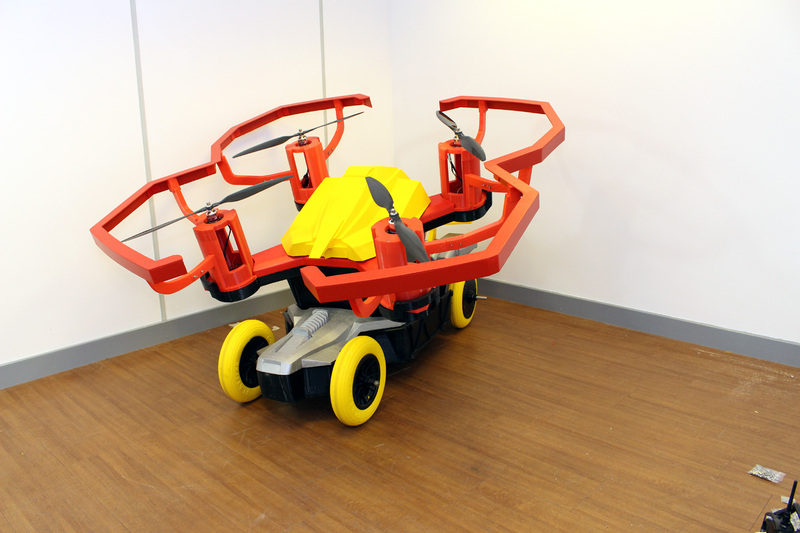 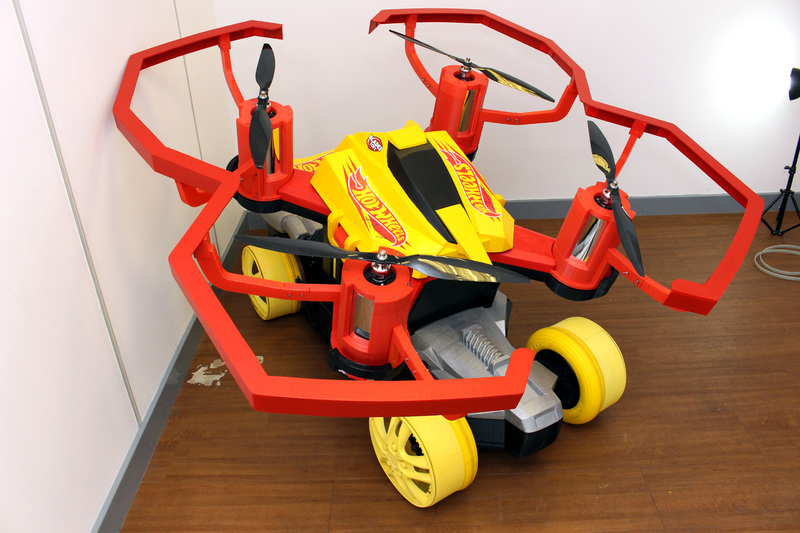 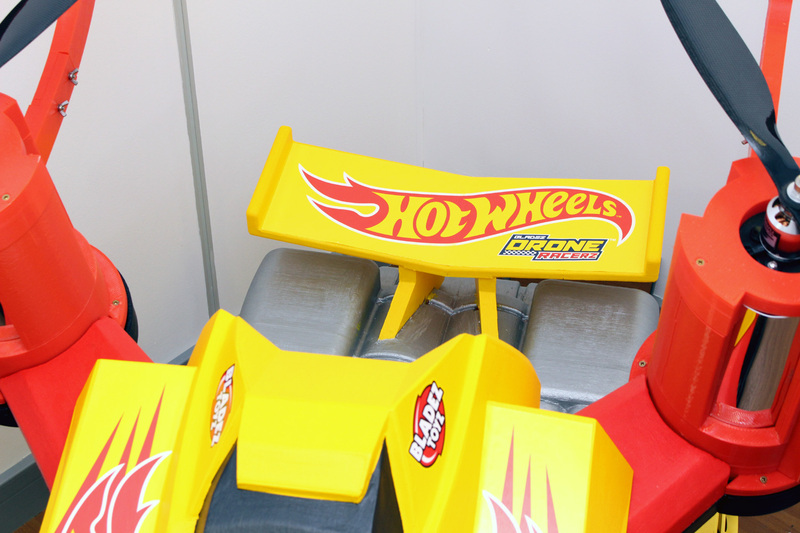 My day job is at Bladez Toyz – the MD asked me to build a giant Drone Racerz car which is part of our license to make Hotwheels flying toys. 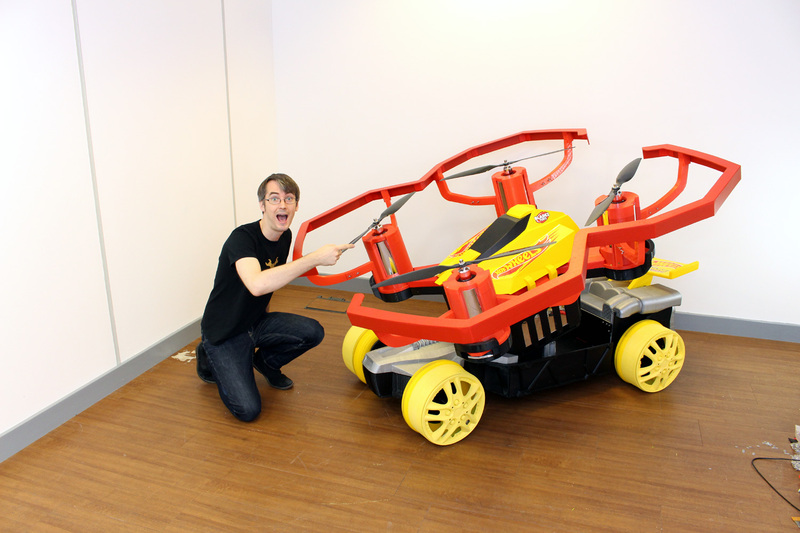 There are some videos about this, or scroll down for pictures and words. 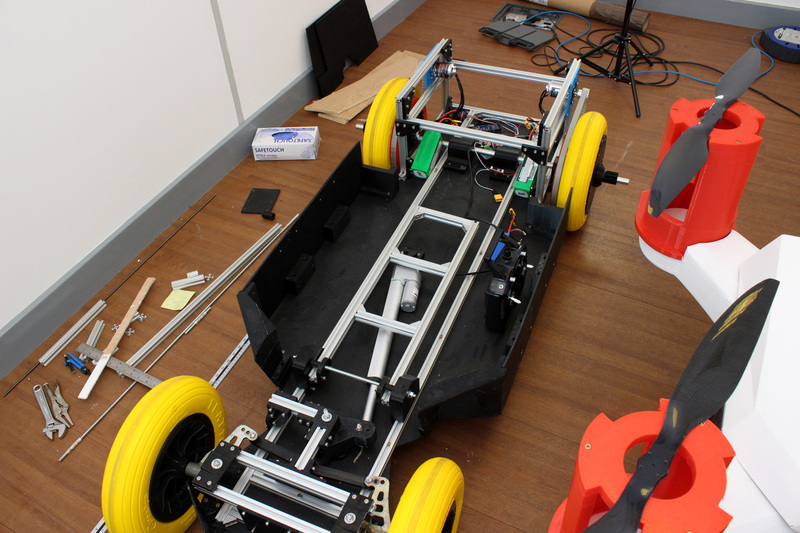 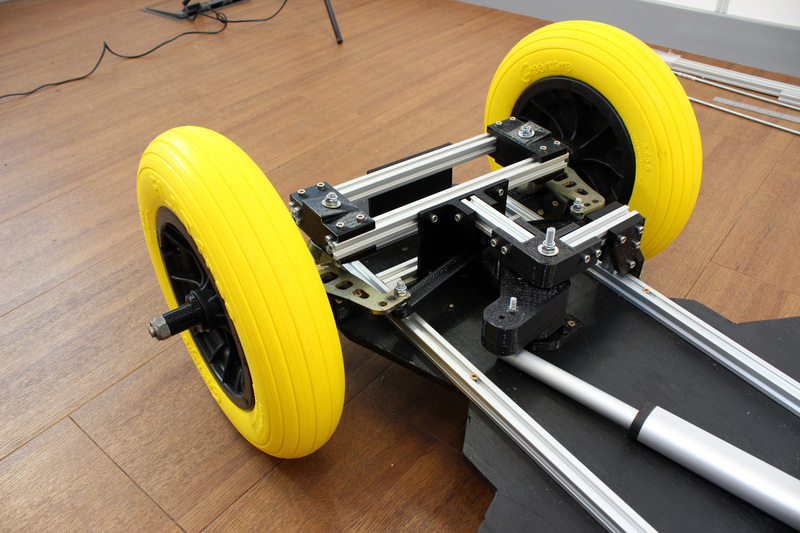 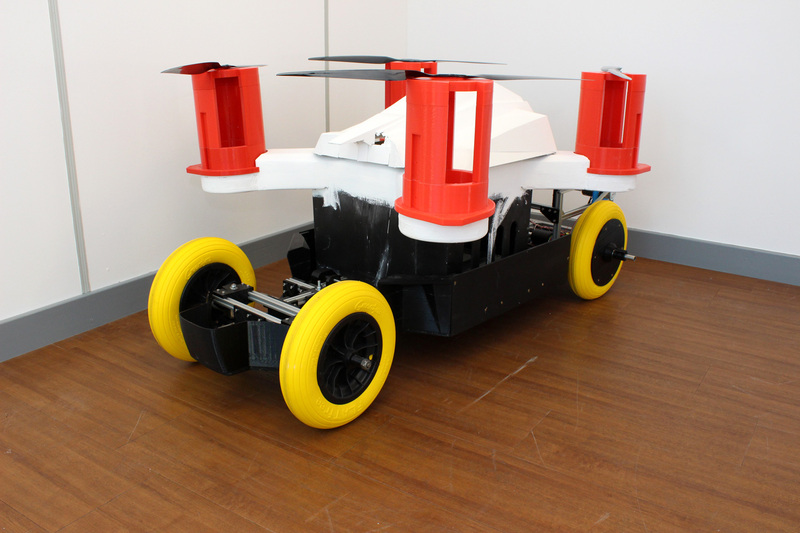 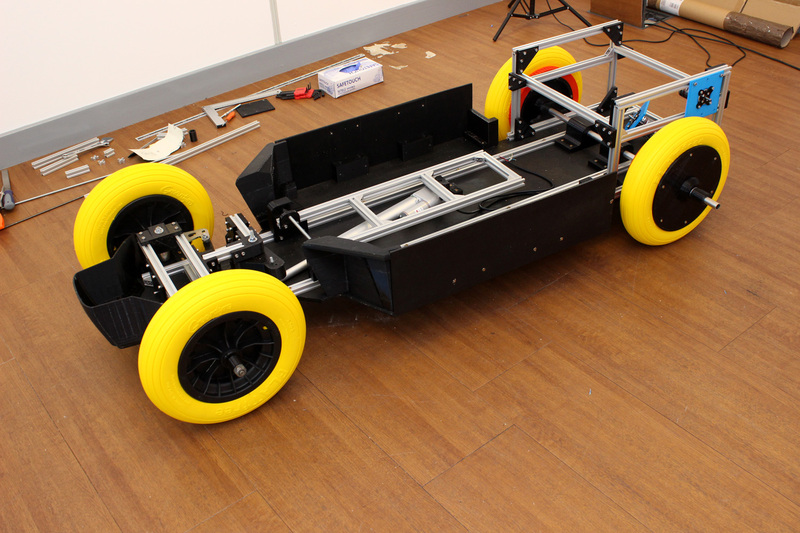 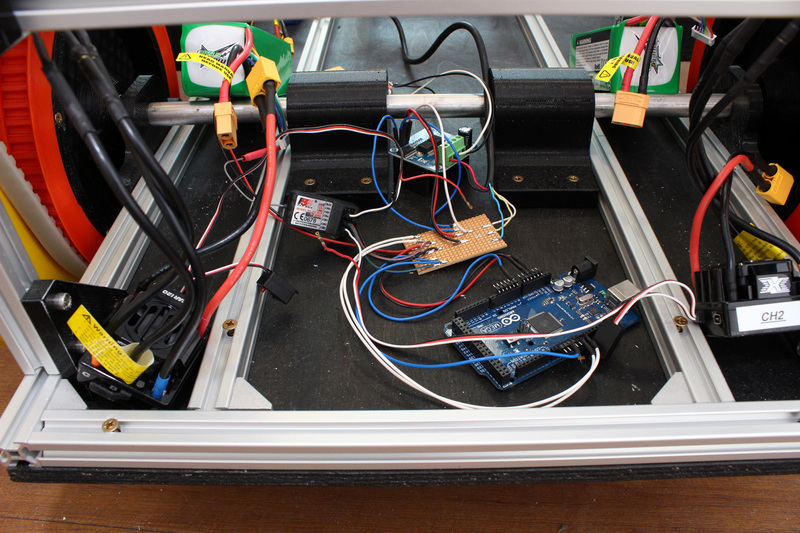 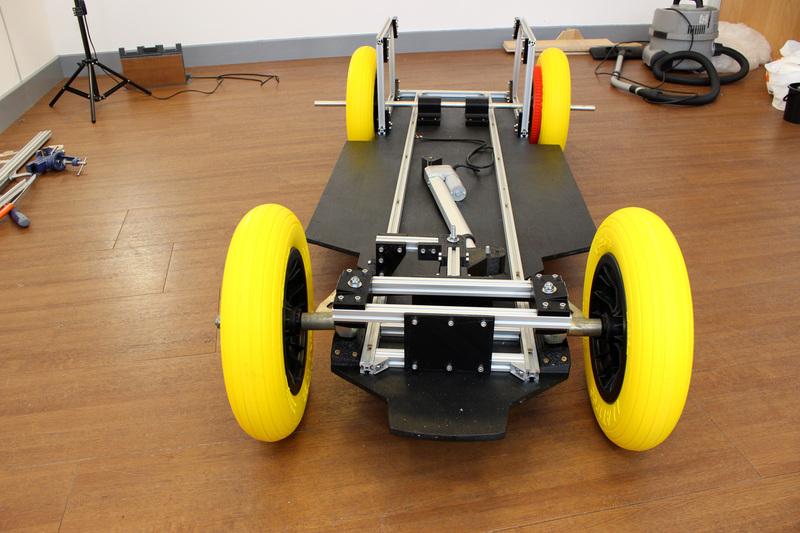 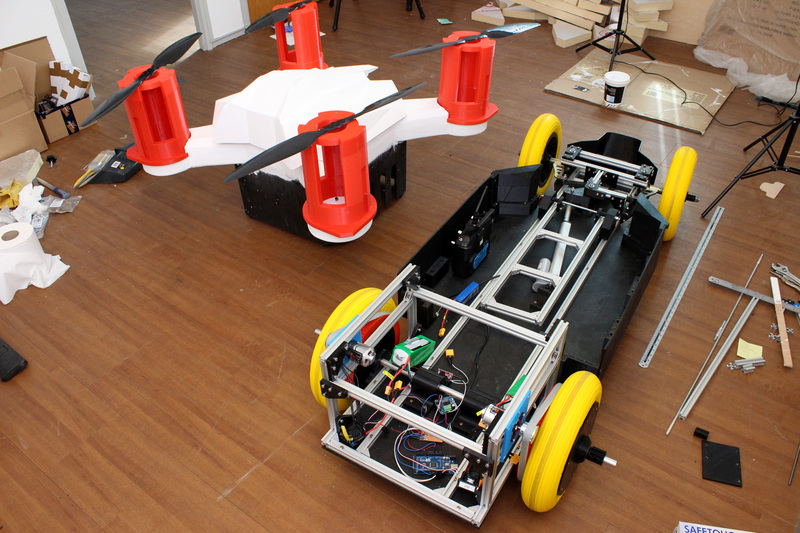 The chassis is made from plywood and 2020 aluminum extrusion. 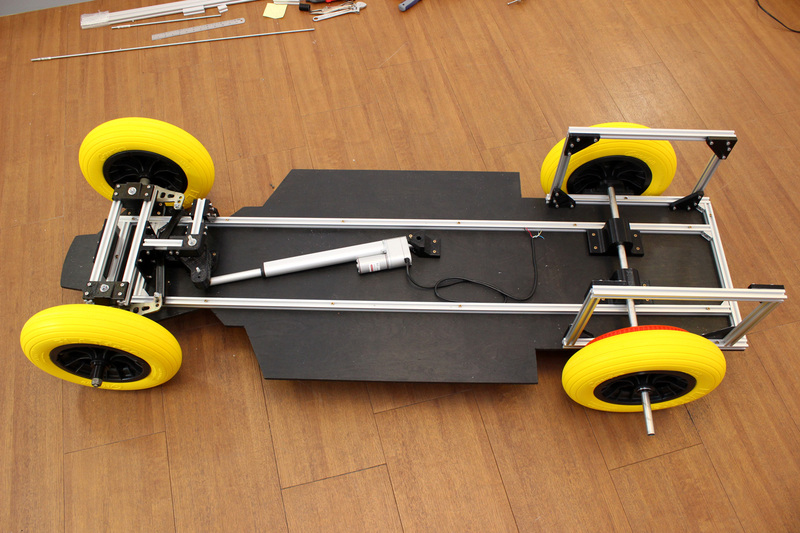 I made a custom steering rack with 3D printed parts and 2020 so that the steering can be radio controlled. 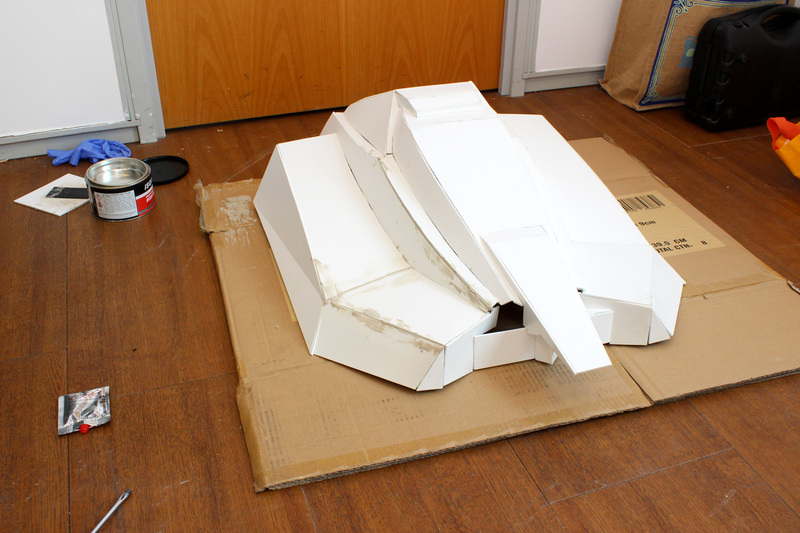 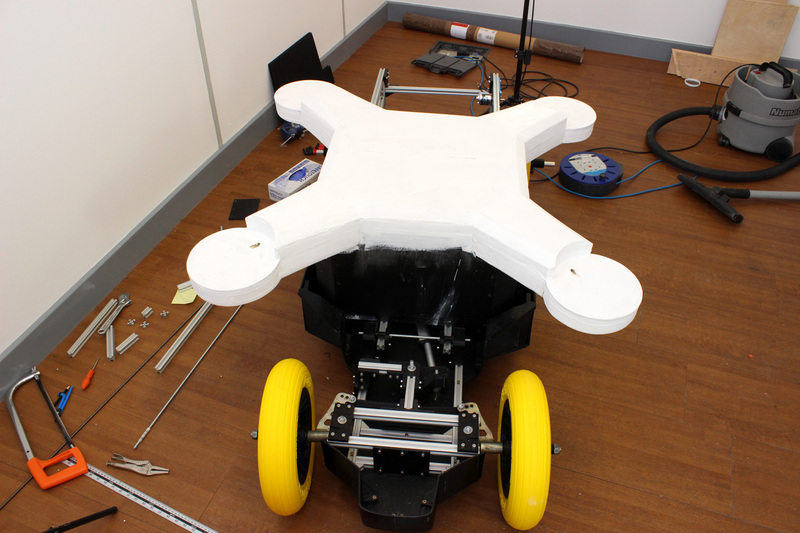 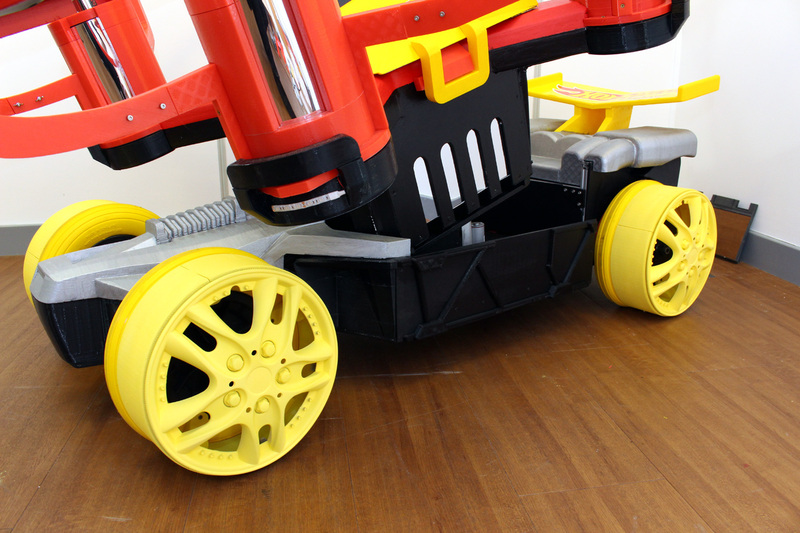 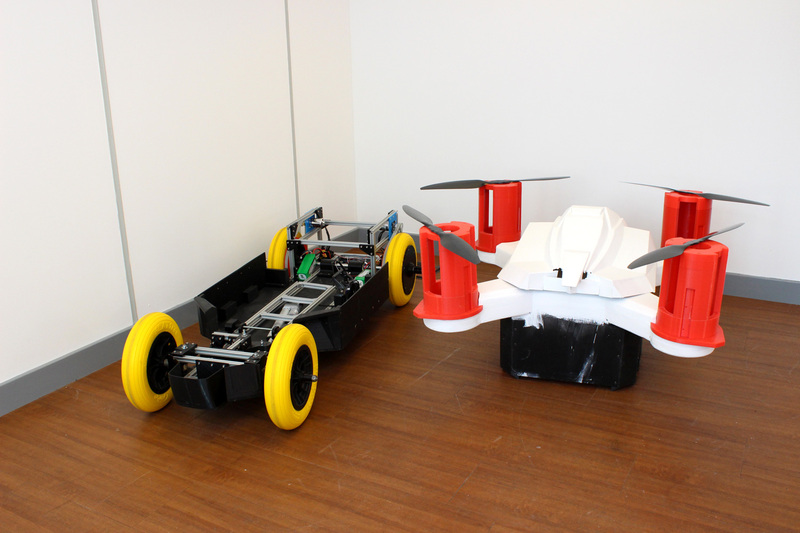 The cosmetic panels are a combination of 3D prints and foam board, also insulation foam and plywood. 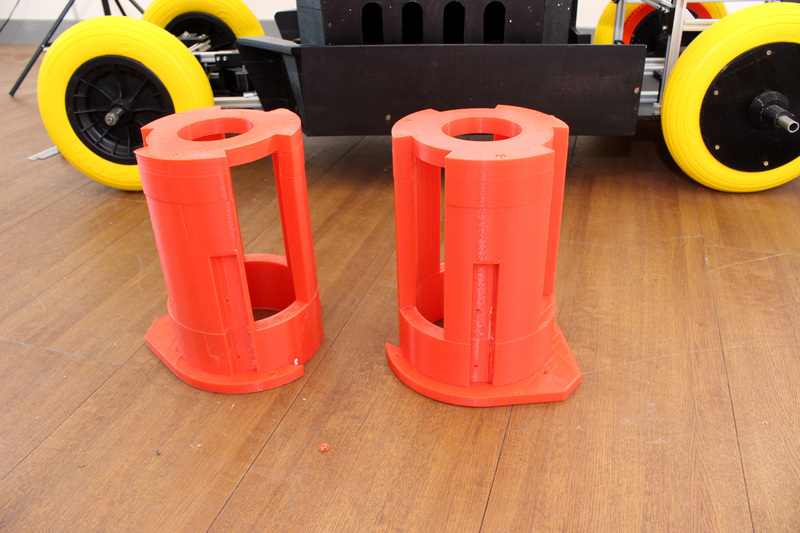 Some of the more complication parts are 3D printed with a Lulzbot MOARstruder. 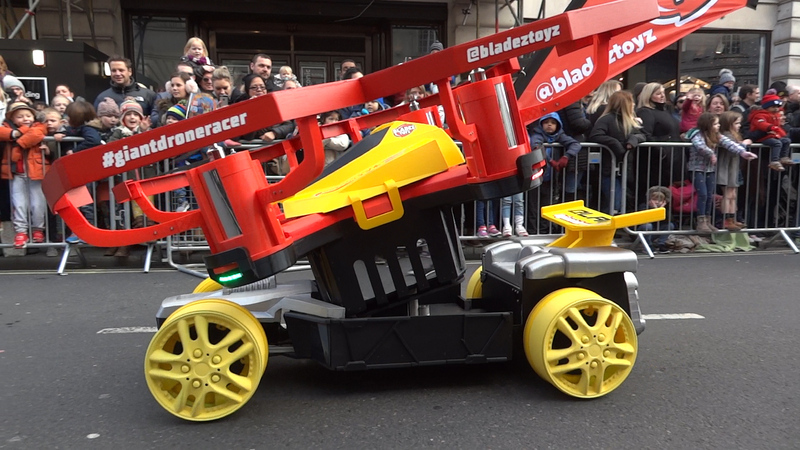 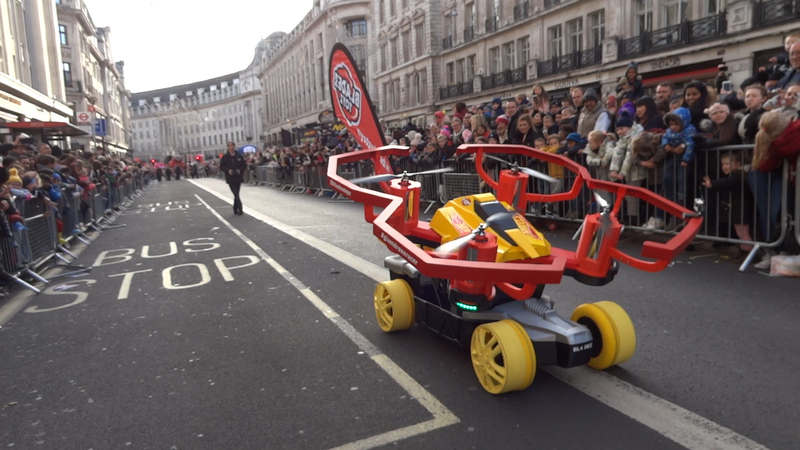 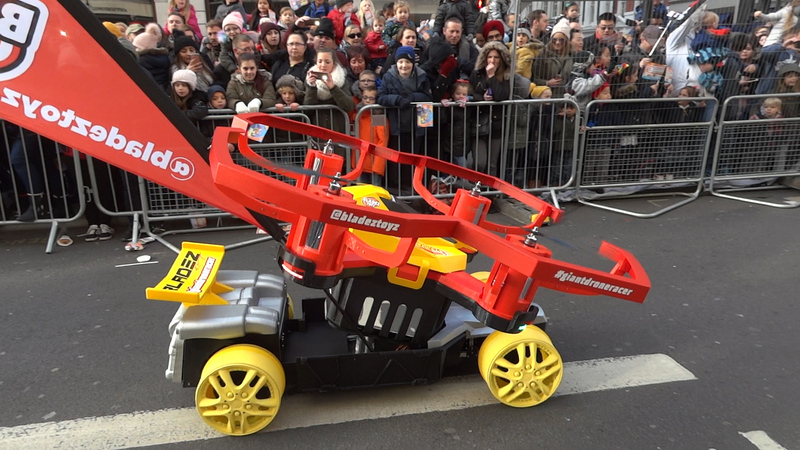 We took the Giant Drone Racer through Central London as part of the Hamleys Parade!